Home » Health » Oral Healthcare » Kid's Oral Care » How to Take Care of Your Baby’s Gums & Teeth? Oral health of a baby holds equal importance as his overall health. Mouth is the pathway to body nutrition. It is essential to clean the gums of the baby. Many parents don’t know the importance of maintaining good oral hygiene of their child even before the eruption of the teeth. 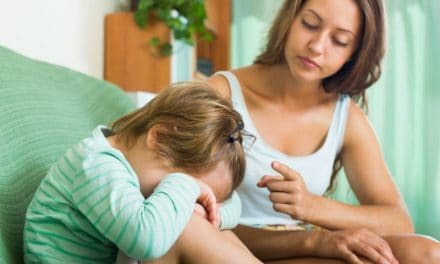 There is an increasing lack of awareness among the parents on how and when to take care of their child’s oral hygiene. Oral care starts even before the eruption of the primary teeth. Healthy gums of baby contribute to a healthier smile while teething. By taking good care of the baby gums you can set a precedent for healthy oral health in the future. Although primary teeth serve as a temporary base to allow the permanent dentition to develop, they play a crucial role in avoiding future dental complications. Thus it becomes essential to take equal care of the primary teeth and surrounding gums. The earliest time a tooth starts to erupt in an infant’s oral cavity is around six months of age. At this time, it is essential to take good care of the baby gums and teeth. What is the importance of baby gums? The first year of a baby is full of milestones. The first smile of a baby often reflects the health of his gums. Gums or gum pads are one of the most important oral tissues that a baby starts to use while feeding to support the process of suckling and swallowing. Gums of a baby harbor the development of the primary teeth and the health of the gums determine the health of the erupting teeth. Often parent’s neglect the gums and do not take any measures to keep it clean. They assume that the oral health of a baby begins when the teeth begin to erupt. But on the contrary, clean gums and maintenance of good oral hygiene right from the beginning helps to create a positive environment for the eruption of the teeth in the future. 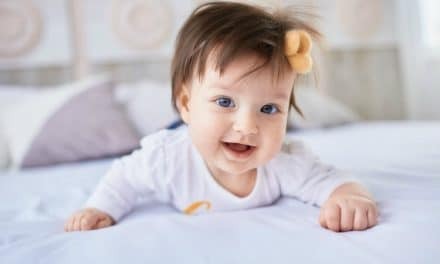 A baby’s teeth help to develop the habit of chewing and eating solid food while allowing the baby to learn and adapt to the changes in the oral cavity. 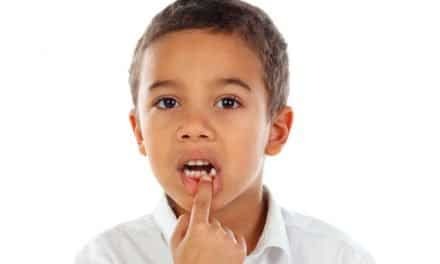 Suggested read: Delayed Tooth Eruption in Kids – Should You be Worried? These changes in the oral cavity have a significant impact on the overall well-being of babies and also affect their growth and development. The first sound or the first word that a child speaks is a collective effort of the teeth and the surrounding oral tissues. Just like how these habits matter to you as parents, it is essential to teach your child or take care of your baby’s oral hygiene to provide them with a healthy oral environment from an early age. What should you know about your child’s first tooth? The first tooth that erupts in a child’s mouth is around the age of six months. The first tooth to erupt is the lower front tooth. The eruption of a tooth is a new process to which the child is not accustomed. It is common to notice behavior changes like irritation, the habit of biting anything that comes in hand, thumb sucking, etc. You may notice changes in the gum, redness or rash on the gums and the surrounding tissue. There can be excessive drooling, loss of appetite and increased crying. At this time, you can give your child a cool sterilized teething toy to chew on. Securing your child’s oral hygiene is essential and easy. These quick tips will help you to manage your child’s oral health. It is equally important to maintain clean hygiene even before the eruption of teeth. Cleaning the gums properly avoid the accumulation of oral bacteria in the baby’s mouth and in case of eruption, it relieves the soreness in the mouth. To clean your baby’s gum, simply wet a clean gauze piece in water, wrap it around your index finger and rub it gently on the gums of the baby. You can do this twice a day or repeat it after any meal. At the time of teething, you can place a cold, wet piece of gauze on the teething toy. This will soothe the sore areas in the mouth and bring down the redness. It is very common to see a baby fall asleep with a bottle of milk or honey water in the mouth. It is essential always to ensure that you’ve removed the bottle as soon as the baby falls asleep. This habit will help them to adapt to a proper feeding cycle and also maintain a clean oral environment. It is recommended to start cleaning the teeth with toothpaste as soon as the first tooth erupts. Special toothbrush for babies and young children are readily available in the market. Take a small amount of toothpaste preferably the size of a rice grain for babies and the size of a pea for children above the age of one year. Select a toothpaste that has fluoride which is regulated to the dose suitable for children. Teach your toddler the proper technique of brushing in a circular motion and keep a check on their oral healthcare practice. Avoid food that has a high sugar content as they create a bacterial loaded oral environment. These bacteria are the prime cause for the start of gum disease and tooth decay in early ages that also affect the permanent dentition of a child. Replace sweet food with mashed carrots and potatoes. Try to give a mixture of pulses and green vegetables. They help to provide the required nutrition and also maintain healthy oral hygiene. You should consult a dentist within a year of your child’s birth to keep a check on the growth pattern and teeth eruption. A dentist will also detect any habit patterns and inform you to take corrective action. Also, you will get advice on different methods of taking care of your child’s oral hygiene. A pediatric dentist is specialized in interacting with the children and helping them to adopt a proper brushing technique and influence them to take care of their oral hygiene independently. There are plenty of changes that happen in a baby’s oral cavity as they grow and develop. It is vital to take of your baby’s gums right from day one. Many parents think that the only time to take care of oral habits is when permanent teeth start to erupt. Get educated and consult a dentist or a specialist in case of any doubts.